Iran’s MehrNews is pushing selling Iranian oil, under the name of another company, saying that buyers can make a nice profit and not be noticed by US sanctions authorities. In this report, advantages of purchasing Iranian oil from IRENEX are compared with those of conducting direct negotiations with Iranian oil ministry. At IRENEX the purchasers’ data remain confidential and they are not even introduced to the brokers’ and brokerage networks. Each purchaser is provided with a code and does the sales under it. The prices of the offered crude oil and gas condensates at IRENEX are lower than Brent and the international market. For example, at the fifth round of oil offering at IRENEX, crude oil was offered 14 percent lower than the time international Brent prices i.e. 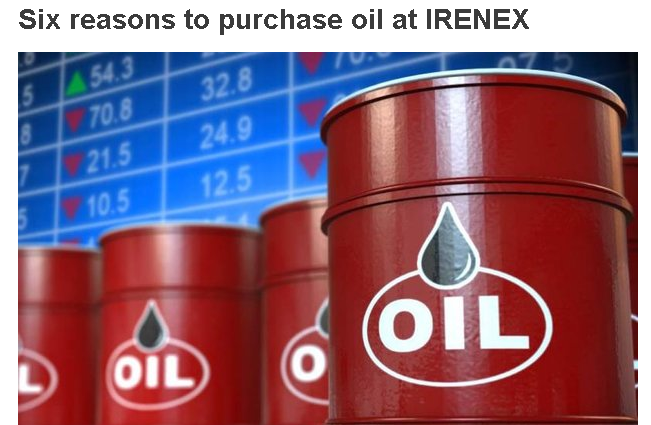 purchasing each 35,000 barrels of crude oil from IRENEX would bring a purchaser a profit of $500,000. The payment mechanism at IRENEX is rial-based which lets the foreign investors to remain safe from the sanction. At IRENEX, foreign investors have the chance to purchase oil and cooperate with Iranian private sector i.e. the Iranian private sector, who is capable of exchanging foreign currencies to rial easily, buys oil at IRENEX and delivers it to foreign investors. The Iranian side returns the earned money to Central Bank of Iran (CBI) afterwards. Oil buyers can export the purchased cargoes to any country across the globe, except to the Zionist regime. Oil and gas condensate are offered in 35,000-barrels cargoes at IRENEX, which are small ones and allow the private companies to take part in purchases. Presented cargoes by the oil ministry are larger and no company can participate in that market. At IRENEX, the buyers can receive their cargoes both through maritime routes from Kharg Island or via Iran’s land borders. Iran’s oil ministry merely sells oil to known and identified purchasers or companies with good reputation and background, while at IRENEX, the only required document to enter the market is a reliable guarantee. 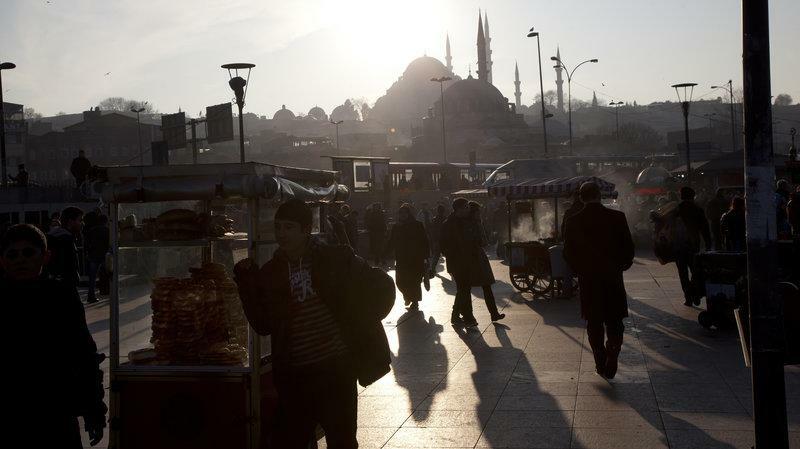 IRENEX can be a golden opportunity for both Iranian and foreign investors with spot or long-term agreements. The sanctions are clearly making Iran nervous enough to set up a shell company to sell oil. The question is whether the US can find companies that try to skirt the sanctions by going through Irenex. South Carolina (Lindsey Graham) is making deals with Qatar (supporter of Hamas and al Qaeda) setting up shop for manufacture of WEAPONS and Spy aircraft. This puts us in danger of being the targets of those same weapons. This also is an issue with intellectual / corporate and technology secrets. POTUS must look in to this immediately and put an END to this TREASON !!!!!!!!!!!!!!!! The nation of Qatar, a tiny Gulf state known for its vast energy riches, tiny indigenous population, slave labor economy, and, of course, its troublesome connections to international terrorist organizations, has commenced a massive but under-the-radar spending spree in South Carolina. Through Barzan Aeronautical, a subsidiary of the Qatar defense ministry-controlled Barzan Holdings, Doha has targeted South Carolina as the location for a major military aircraft initiative. The state is home to several Qatar-friendly politicians and defense industry heavyweights. Senator Lindsey Graham has held several face-to-face meetings with high-ranking delegations from the $320 billion Qatar Investment Authority (QIA), which has pledged to invest billions into the state. Over the past couple of years, Graham has emerged as one of the major pro-Qatar voices in the Senate. 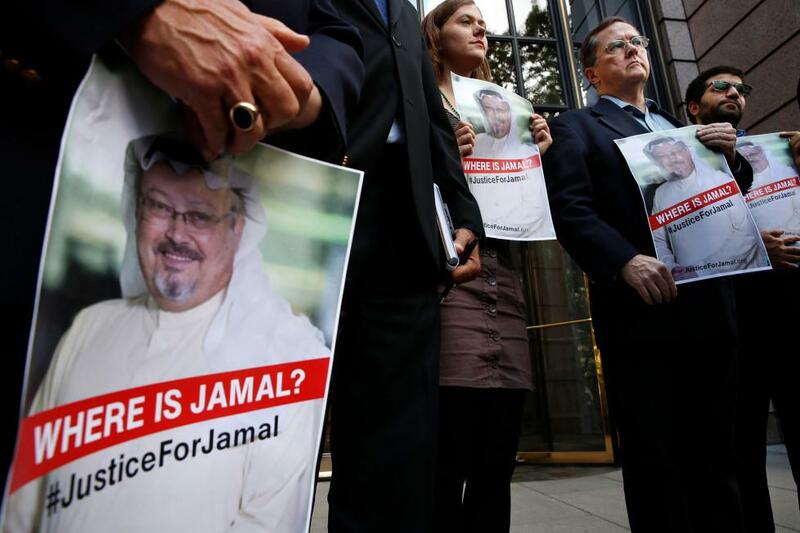 He routinely takes to television and other media platforms to repudiate Qatar’s regional adversaries, while bolstering its allies. The top donor to South Carolina Gov. Henry McMaster’s recent successful gubernatorial campaign is a major Qatari lobbyist. Between 2017 and 2018, Imaad Zuberi, a lobbyist who represents the ultra-wealthy QIA, shelled out over $50,000 for McMaster’s campaign, according to campaign finance reports. Zuberi told associates that his donations to Republicans were a way to pay for further access to politicians, according to The New York Times. ——me —Qatari lobbyist admit to buying ACCESS and no one says ANYTHING? On the local level, the mayor of Charleston, which is home to a major Boeing plant, is also a friend to the Gulf state. He has “signed a declaration of understanding to encourage economic development, cultural and environmental cooperation between Charleston and Doha, Qatar’s capital city,” after meeting with Qatari investment officials, The Post and Courier reported. Charleston is home to Boeing’s 787 Dreamliner assembly plant. Qatar recently spent over $11 billion to order 30 787s and 10 777s from Boeing. Moreover, the Qatari air force has a $6.2 billion contract with Boeing. The Qatar-run Barzan Holdings was launched March 12, 2018, intended to act as “a commercial gateway for the defense industry in Qatar.” One week later, a subsidiary company, Barzan Aeronautical, was incorporated in South Carolina. The aircraft program appears to be in the very early stages of development. Barzan Aeronautical’s website lists a target launch date of May 2019. In interviews, Qatari officials have stressed that the one-year-old Barzan Holdings project is a top-priority project for advancing Qatar’s defense goals. In November, the ruler of Qatar himself paid a visit to the Barzan research and development center. Information on the nature of the mission of Barzan Aeronautical first surfaced in Foreign Agents Registration Act (FARA) filings last year through the Department of Justice. A high-powered K Street law firm, Ott, Bielitzki & O’Neill PLLC, defined the Barzan Aeronautical mission as a project dedicated to “development and production of surveillance aircraft” for Qatar. Just a couple of weeks ago (without any media coverage), Barzan Aeronautical submitted its own FARA filing, describing its mission as aiding “in procurement / development of airborne ISR [Intelligence, Surveillance, and Reconnaissance] systems for the foreign principal,” which is the state of Qatar. In December 2018 and January 2019 alone, the foreign agents representing the Qatari aircraft project listed half a million dollars in lobbying expenses and revenue, according to the FARA filings. Moreover, in FARA disclosures, the K Street law firm noted it is being paid $75,000 per month for government relations services. It also reveals that an American is serving as the CEO of the front company and that its board of directors is a mix of Americans and Qataris. However, the company is 100 percent owned by the Qatar Ministry of Defence. Barzan Holdings has quickly become a successful international advocate for Qatar’s defense industry, racking up tens of millions of dollars in mega-deals with various nations and their defense industries. Barzan has signed contracts with countless major defense and weapons companies in Turkey, France, Germany, Italy, and the United States. At the 2018 Doha International Maritime Defense Exhibition and Conference (DIMDEX) in March, Qatar, through Barzan, scored deals with American defense industry giants such as Raytheon and Tapestry Solutions, a subsidiary of Boeing, both of which have a major presence in South Carolina. The mega-deal with the Boeing subsidiary was valued at $79 million. Using its huge energy resources turned to wealth to promise statewide development, Qatar has racked up tremendous diplomatic and financial capital with the influential politicians and defense companies of South Carolina, enough that the al Qaeda and Hamas-funding state is apparently set to build military surveillance aircraft inside the continental United States. Obama’s solution – Israel should give up land for peace. Obama’s knowledge of history is stunted as is his logic. http://www.JewishWorldReview.com | In his address to AIPAC Sunday morning, President Obama doubled down on the points he made in his speech on Thursday. After a lengthy, and not entirely unjustified defense of his administration’s record of support for Israel’s security, he continued talking down to the Jewish state and its government as if he knew better than they about the situation in the Middle East. Following the talking points that the administration has been furiously spinning since Thursday, Obama attempted to explain that there was nothing original or new in his attempt to lay down the 1967 lines as the starting point for future talks. It is true, as he asserted that his line bout “mutually agreed upon swaps” of territory means that the “borders will be different.” But contrary to his claim that this is what past administrations also support, the Bush 2004 letter let it be known that the United States supported Israel’s claims on Jerusalem and the major settlement blocs. Obama is neutral about Israel’s borders. That is why the Palestinians view his support of the 1967 borders as a green light for them to refuse to talk unless Israel agrees to surrender every inch of territory. Even worse, Obama’s lecture about why Israel must make further concessions in spite of Arab intransigence was condescending and somewhat misleading. Obama said that demographics and technology mean the status quo can’t be sustained and implicitly accused Israel of “procrastination.” But Israel has already offered the Palestinians a state in virtually all of the West Bank, part of Jerusalem and Gaza and been turned down twice. Even the supposedly right-wing government of Benjamin Netanyahu has made its commitment to a two-state solution clear. Obama says Israel can’t wait “another decade or two or three decades” to make peace. But Israel has been trying to make peace for 63 years. The world may be “moving too fast” to wait for peace but why must he lecture the Israelis when it is the Palestinians who refuse to talk, let alone recognize the legitimacy of a Jewish state no matter where its borders are drawn? Although Obama rightly declared that the United States would oppose attempts to bypass the peace process via the United Nations, his mention of the 1967 borders will be used, as it has already by the Palestinians, to buttress their attempt to get recognition for an independent state inside those lines with no recognition of Israel. Like all Obama speeches, the president presented a false choice in which he said the “easy thing” would be to say nothing about the peace process rather than to confront it as he has done. Democratic Party donors will have the final word on how foolish his attempt to ambush Netanyahu this past week. But the real false choice is the notion that it is somehow in Israel’s power to magically create peace. That decision has always been in the hands of the Palestinians and the Arab world. So long as they ally themselves with terrorists and refuse to negotiate and to demand a “right of return” which would destroy Israel (and which Obama again failed to condemn) there will be no peace. You are currently browsing the archives for the Middle East countries category.